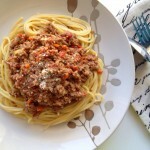 Spaghetti Bolognese is a wonderful meaty pasta and my all time favorite. 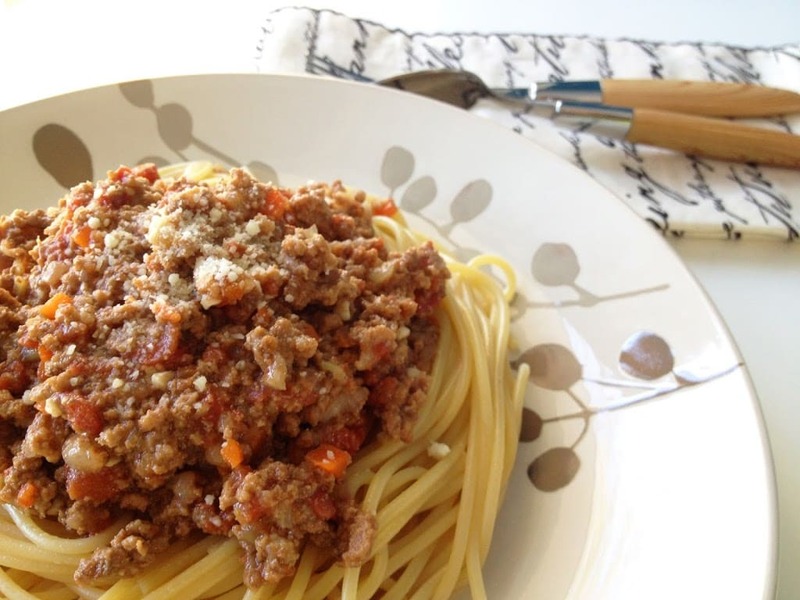 Bolognese sauce also known as Ragu Alla Bolognese in Italian comes from the city Bologna in Northern Italy. While the authentic way to serve the sauce is with tagliatelle, a broad, flat pasta similar to fettuccine, I grew up with and got used to eating it with spaghetti so I’ll be preparing it this way. Feel free however to go authentic or use the sauce as a base for lasagna. The classic ingredients in a bolognese sauce is known in Italian as soffritto, a combination of diced onion, celery and carrots. After trying this recipe, I’ve come to appreciate the simplicity behind this holy trinity and I’m frankly amazed how such simple ingredients can produce a rich and complex flavor. 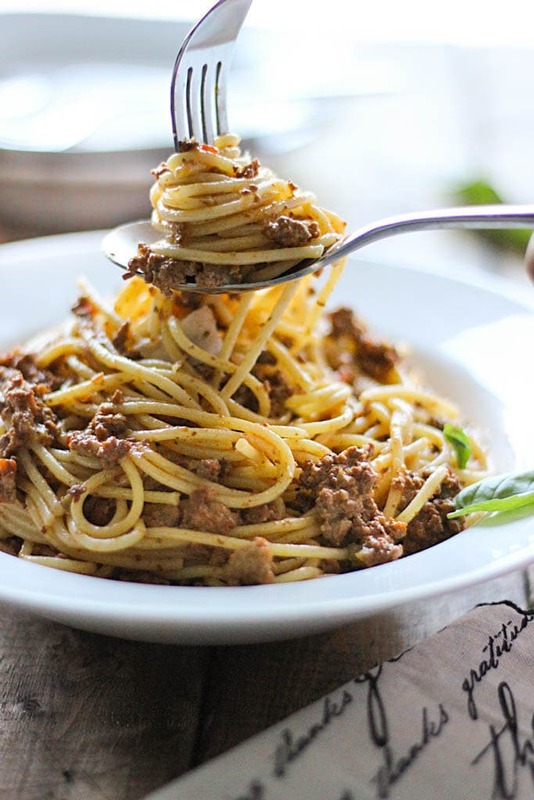 While most pasta sauces generally emphasize on the sauce with a few ingredients on the side, bolognese is first and foremost a meat sauce so meat lovers take note. With it being such a tightly packed sauce, it’s important to remember NOT to rinse your pasta after cooking so the sauce has a chance to cling to the pasta. 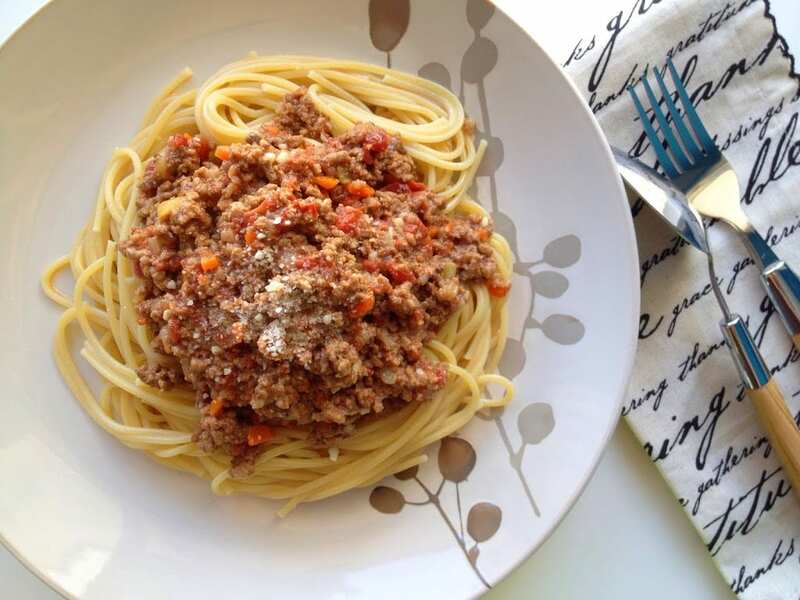 My recipe today includes soffritto with some garlic, ground beef, tomatoes, milk and beef stock. A combination cooking method of sauteing, sweating and braising is used to make the sauce so allot 4 hours cooking time to allow the flavors to marry well. 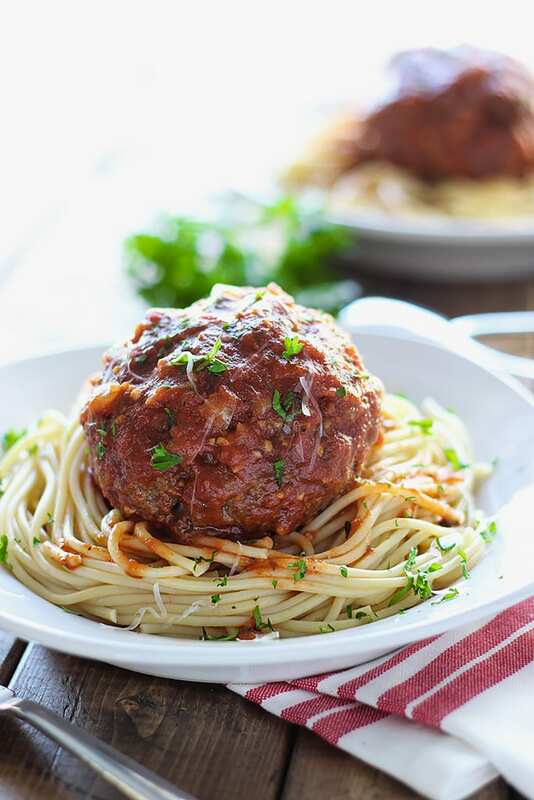 I advise to make this in huge batches as with any other pasta sauce, it tastes even better the next day and you want to take full advantage of this. You can freeze the rest of the sauce for future use or heat it up the next day for more bolognese indulgence if you don’t mind eating the same thing day after day. As for the pasta, I usually use 1/2 lb. for two people so adjust the amount according to how many people will be at the table. 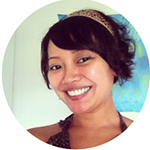 Thanks Sharon 🙂 I always try to give my readers a broader understanding about what they’re cooking. The truth – we hardly eat pasta and we don’t eat beef either. I will hand over your recipe to my followers, colleagues and friends because they are big fan of such a delicious spaghetti dish. I tried to enjoy all the pasta dishes when I visited Italy yet I failed. Must be the strong love from rice which held me back. Thank you Nava. I hope people will enjoy being able to reproduce this dish in the comfort of their homes. And no wonder cause it’s almost the same, just not as creamy! 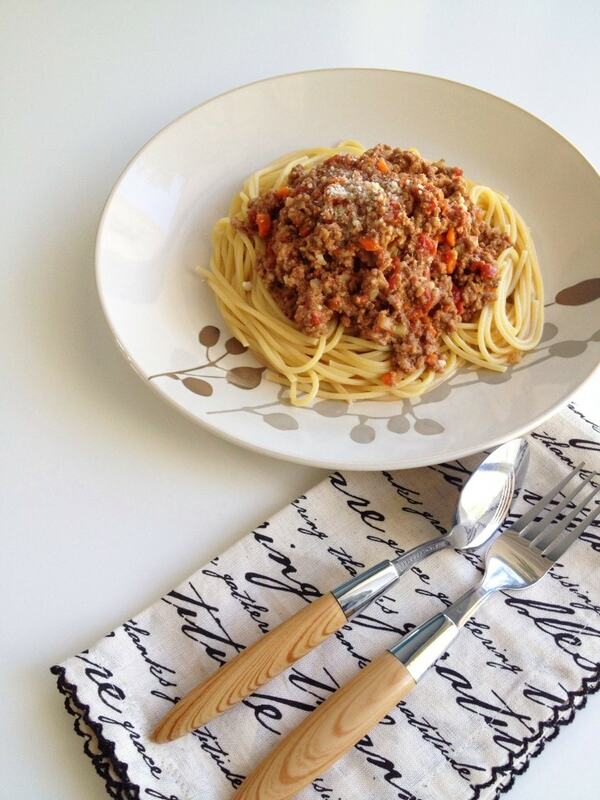 Bolognese style is my FAVORITE way to eat pasta.